Comment: spiders, sentient, ants and, cockroaches and bugs. Comment: Skunk is under our door brick doorsteps. A huge hole can be seen in the side of the brick step. Comment: I moved into a new construction townhome in an area with new construction all around. Seeing a few ants in bathrooms and kitchen and looking to eliminate at the source. Comment: Two ( or more!) flying squirrels in attic. Need ventilation holes covered and holes sealed. Comment: There are about 6-8 pigeons that have started nesting on the ledges of the front facad of my town home. I am looking for competitve pricing for about 108ft of bird spikes to cover the length of the ledges over 6 windows, the front door, a brick ledge that runs the length of the front facad of the home and the roof. Comment: A few weeks ago I noticed mice had made their way into our home. Since the Inhave heard gnawing in the walls as well as droppings. It seems to be confined to the kitchen area and although we put glue traps, we canât figure out their access point but want to identify it, obstruct it, and ultimtely eradicate any possible nests. Comment: We put up sticky traps in our basement after hearing squeaky sounds and caught one mouse and disposed of it. It seems there is another mouse that we can hear gnawing from inside the walls. The mouse or mice also seem to have eaten some of our food from the kitchen. Clarksburg Pest Control Services are rated 4.68 out of 5 based on 2,065 reviews of 19 pros. 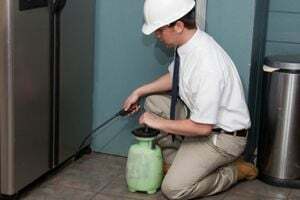 Not Looking for Pest Control Contractors in Clarksburg, MD?